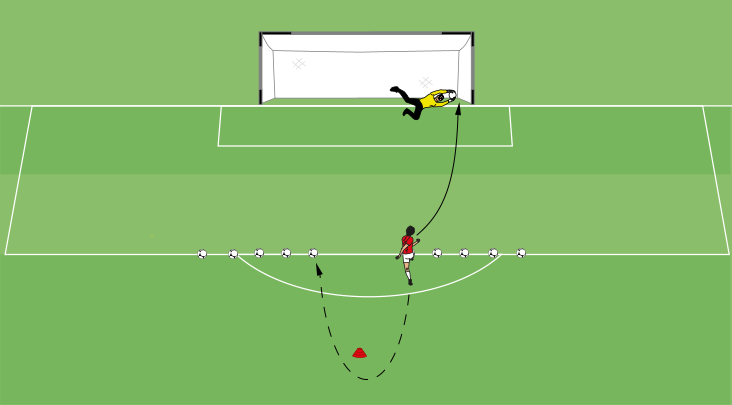 The ten ball shooting test can be used for players to practice shooting on their own or as a test to see how many goals they can score out of ten shots. Finishing in a square is a great drill for strikers to practice finishing in front of goal. 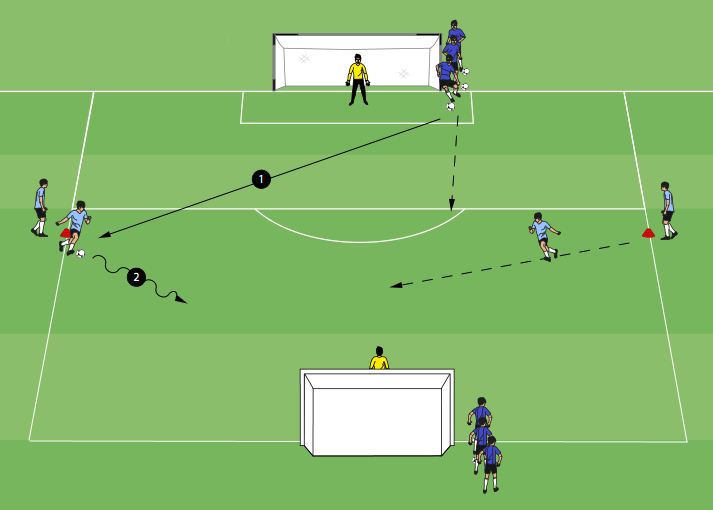 Players position themselves around the 18 yard box and deliver passes to a player inside the 18 yard box who tries to score. The Dortmund 2v1 shooting drill is an excellent game for players to practice dribbling towards goal quickly and finishing. 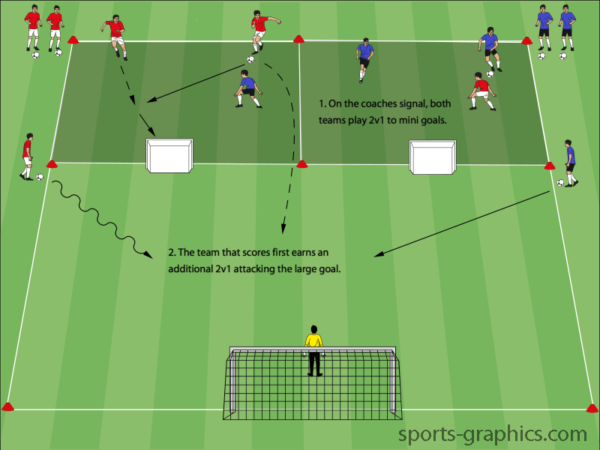 Rapid one touch finishing is a great drill for players to get lots of repetitions shooting inside of the 18 yard box. 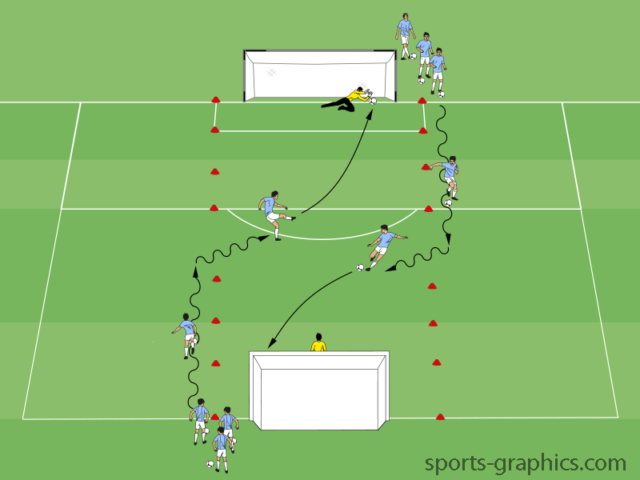 The Bayern vs Barcelona shooting game is a great finishing drill for players to work on long range shooting and connecting passes with teammates. Three tier shooting is a great finishing drill for players to work on various types of finishes.